Below are the bios, images and videos submitted by our inspired Nominators. Their names have been kept confidential to maintain the integrity of this process. All nominees are listed in the order that they were received. Scroll down to read about all of the wonderful work that is going on. Native Rockland County resident, Diana Green is the founding Artistic Director of CST and has directed almost 70 full-length productions. Now in its 20th Season, she has led this non-profit theatre group from a neighborhood extra-curricular program to an internationally recognized theatre organization. Through the serious art form of Shakespearean Theatre, Diana has educated hundreds of children, fostered a community of families, collaborated with fellow arts organizations, organized outreach and education to underserved areas and received recognition from international theatre organization The Children’s Shakespeare Theatre is an independent, non-profit children’s theater in Palisades, NY. Freia M. Titland (SAG-AFTRA, AEA) is a Rockland County based actress, writer, director and arts educator. She has been an actress in many award winning films and television shows, performed off broadway, and has been seen on various digital platforms. Freia, an outstanding mentor has provided opportunities for advancements in my career. Through her leadership I was able to be starred on TeenVogue, Seventeen Magazine, and work on set for The Woman’s Weekend Film Challenge, but her leadership skills do not end there. She is head of the associate board of directors for Origin Theatre company and was awarded with the title of Top 40 Under 40 by "The Irish Echo" for her dedication to the arts in NYC. She has written, directed, and produced an original Film, Sunflower Fields, that is now winning awards in multiple international film festivals, just in this past year. Michael Porfido is a potter, artist and teacher with over 40 years of experience. A four-year apprenticeship in Korea during his early 20's influences his aesthetic for skillfully and consistently thrown pieces that are as utilitarian as they are beautiful. As a teacher he a step further than just dedicating time to the art of pottery in the classroom. When he sees a student with a deep aspiration to perfect his craft, he offers insights based on his own experiences and goes out of his way to mentor these students. He is constantly looking for new ways to teach concepts and expand the arts within the Rockland County area by regularly attending workshops and connecting with local artists in partnerships. Jim Shaughnessy is clay artist based in Nyack. A former NYC educator of 33 years, he has been teaching wheel throwing and sculpture at RoCA for well over ten years. Jim provides a diverse range of students (between ages 8 and 18) with the unique practice of creating ceramics, an art form rarely taught in public schools. Jim is a self taught potter, making ceramic vessels and sculpture for more than two decades. He has studied with local, as well as nationally known clay artists. His work can be found in a number of galleries in the surrounding area. In 1999 and in 2001 his work was selected to serve as the Rockland County Executive Awards given to artists and supporters of the arts. In 2002, one of his pieces was used as an award given to Nobel laureate author Toni Morrison. In 2003, his work was featured in silent auctions to benefit the American Cancer Society and the Nuyoricans Poets Café. In 2004, the Human Rights Commission selected to use one of Jim’s sculptures in their annual fundraiser event held at the Waldorf Astoria in NYC. Also in 2004, Jim’s work was selected to serve as awards for Rockland County Congresswoman Sue Kelly and Nita Lowey, as well as for New York State Senator Hillary Rodham Clinton. Jim teaches at the Rockland Center for the Arts and is a member of the Bluefield Artists group. The Performing Arts Department at Rockland Community College has been actively training, promoting and advancing the artistic and educational aspirations of budding artists in the community for decades. With 8 degree tracks and a variety of events throughout each year, including the annual Rockland Shakespeare Company season, the department is dedicated to serving the community. Founded in 1999, Stage Left Children’s Theater (SLCT) is a non-profit that provides a comprehensive, multi-disciplinary education in theater for students’ ages 5-18. SLCT uses performance techniques as a catalyst for building self-confidence, improving vocal skills and conquering the common fear of public speaking. In 2000 SLCT had 25 students and 1 instructor. Today enrollment has gone as high as 205 students, employing 7 instructors. Artist and art educator at Edward Hopper House Museum & Study Center, Nina Berlingeri is the Museum Education Manager serving all audiences and age groups in creative and innovative ways. Nina has transformed the visitor experience at EHH through her teen program, as well as captured the minds of a huge variety of patrons through her ability to bring Hopper's art to life. Maureen's Jazz Cellar, launched by Nyack artists and residents, Brianne Higgins, and David Budway, is an intimate music listening room located in the heart of Nyack NY. It was established to honor the life and music of David’s sister Maureen Budway, who passed away in 2015 after a well fought battle with cancer. She was an incredible jazz singer and educator who was well know through out the country and especially loved in her hometown of Pittsburg. David and Brianne have dedicated their club to enriching the lives of all those who love music and the arts. Through their Tuesday night open jam sessions, Grateful Dead Night, world class concerts and more, they have built a venue that is a warm and welcoming home for the community. Haverstraw Riverwide Arts came into being on September 17, 2013. It is run by a small group of local volunteers who saw the need to bring art and performances to an underserved population. It began with the Haverstraw Riverwide Arts and Music Festival, a day of live art, musical performances, children’s art food vendors, craft vendors. For the past 5 years it has been held annually in beautiful Emiline park on the banks of the Hudson. The festival organized sold out sailings of the South Street Seaports’ schooner, Pioneer, created the Flavors of Haverstraw Food Crawl, an annual one day event that brings hundreds of people into the village to get a taste of this village’s unique culture, the Instagram Wall, a vibrant larger than life mural on the side of a village building, and sunrise and sunset yoga over looking the river and has sponsored outdoor film screenings. Over the years, they have forged ties to civic and professional organizations, such as Rockland County Tourism, the African American Connection, Haverstraw Brick Museum, Artists in Parks, local politicians and houses of worship. 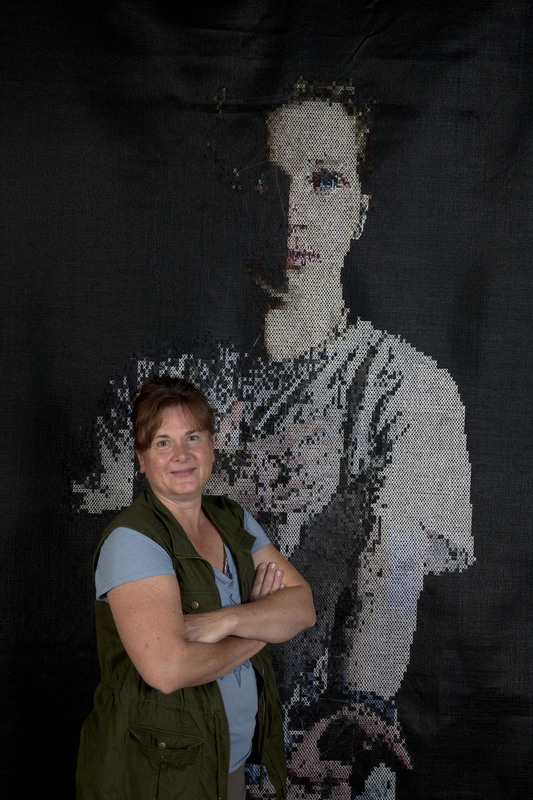 Donna Davies Timm studied Surface Pattern and Textiles (Tapestry Weaving) at Cumbria University, UK. Creative work includes: Tapestries for Carlisle Cathedral, Southern England County Council and private commissions; exhibiting at The Royal Academy of Art and private galleries; designing, constructing and embellishing costumes; important leadership roles, The Nyack Art Collective. The Children’s Shakespeare Theatre is an independent, non-profit children’s theater in Palisades, NY. We produce multiple plays each season, giving young actors an opportunity to experience the poetry of Shakespeare’s plays and his deep understanding of the human experience. Through instruction in voice, movement and acting techniques, CST provides modern kids, and their broader audience, an invaluable connection with Shakespearean theater, history and language, as well as a connection to our local arts community here in Rockland . The Children’s Shakespeare Theatre is an independent, non-profit children’s theater in Palisades, NY. They produce multiple plays each season, giving young actors an opportunity to experience the poetry of Shakespeare’s plays and his deep understanding of the human experience. CST provides instruction in voice, movement and acting techniques, as well as history and language. Nana Kwame Adjei-Brenyah is winner of the 2019 PEN America Jean Stein Book Award for Friday Black, his debut story collection. Nana is a National Book Foundation 5 Under 35 honoree; he was the 2016-'17 Olive B. O'Connor fellow in fiction at Colgate University, where is continues to teach. A. Anupama is a poet, critic, essayist, and translator whose work has appeared in Waxwing, Drunken Boat, Numéro Cinq, and elsewhere. She teaches at Ramapo College and Writopia Lab, and she organizes literary community at River River Writers Circle (RiverRiver.org). 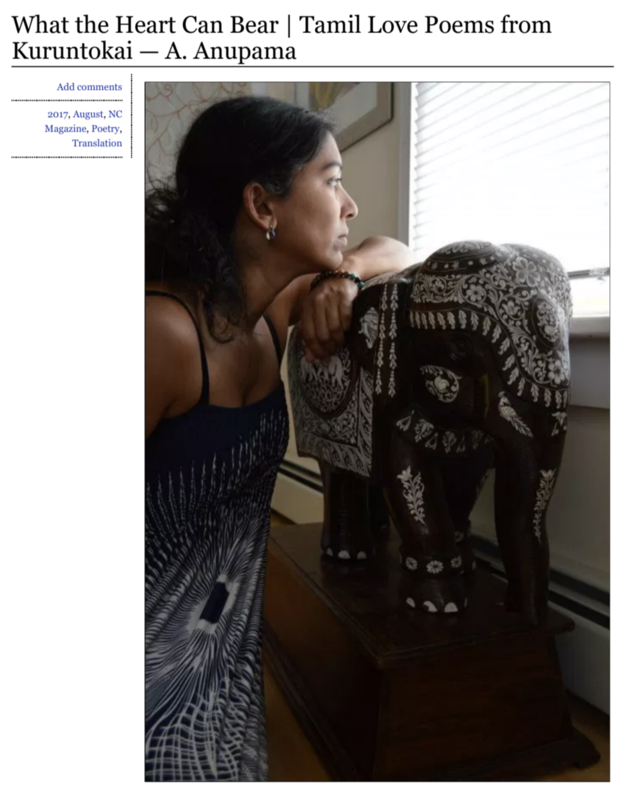 Anupama lives with her family in Nyack, New York. ANGELO PARRA is an award-winning playwright, author of the acclaimed, The Devil’s Music: The Life and Blues of Bessie Smith, named among the “Top-Ten Off-Broadway Experiences” by the NY Daily News and nominated for a 2012 Lucille Lortel Award and a 2018 Helen Hayes Award. He also is the author of Playwriting for Dummies. Parra’s honors include two NY Foundation for the Arts Fellowships – Scriptwriting, and the 1998 Chicano/Latino Literary Award (UC Irvine). In 2000, he was named a Tennessee Williams Scholar at the prestigious Sewanee Writers Conference. Parra is the founder/director of the Main Street Playwrights workshop in Tarrytown, Literary Manager at Penguin Rep Theatre, Stony Point, NY, and is a Performing Arts/English adjunct at SUNY Rockland. James Ramsay has a B.A. from Northwestern University. M.S. from the University of Wisconsin. Ph.D. from the University of Wisconsin, 1967, educational psychology. His employment history has included Assistant Professor at NYU, a Freelance writer, Political speechwriter for New York City Council President, and Editor at Simon & Schuster publishers, Corporate speechwriter, Director, department of editorial services. Adjunct professor of English, Rockland Community College. Founder and facilitator, Older Writers Laboratory, Nyack, Writing/Publications include: Books: Readings in Educational Psychology, 1969. Running. Simon & Schuster 1984. Articles in national magazines including Cosmopolitan. Poems No Punch Back and The Climb are published in west coast poetry anthologies. Short autobiographical stories How I Got this Scar on my Shoulder and Reunion are in an anthology to be published by the Older Writers Laboratory, Nyack, March 2019. Every public library in Rockland strengthens the fabric of our literary lives, but the team organizing and promoting events at Nyack Library, led by Jane Marino and Jennifer Harrigan, takes their work a step further. Events for readers and writers at Nyack Library connect us with a broader literary world, not always by offering the latest and bestselling thrills—rather, presenting inspiring events from the publishing world and beyond that reflect Rocklanders’ unique lives and aspirations. A selection from the Library’s calendar of recent and upcoming events best presents this narrative. For the last 5 years, the Library has hosted an Annual Banned Books Read-Out, which will continue this September. In April, a Poetry Read-Out will be added to the events calendar, encouraging the reading of both original work and much-beloved freely chosen publications. In coming months, the Library will present readings and talks by New York authors Mark Dery (Born to Be Posthumous) and Sigrid Nunez (The Friend, National Book Award 2018). Going back to 2017, the Library partnered with other local organizations to present “Carson at 100,” a celebration of Nyack author Carson McCullers, staging a live performance of the author’s story, “A Tree. A Rock. A Cloud.” And the library’s events featuring local writers, from McCullers to award-winning writer/artist Bill Batson to those just starting out with their own self-published books, are part of what allows Rocklanders to see possibilities in the arts for ourselves. A thriving arts community depends on the organizations that offer the public the opportunity to be changed by art. Nyack Library is an indispensable part of that conversation, getting local and locally resonant literature out into the world—and also bringing it back home. Debra Weiss made her debut at 13 in NYC Ballet’s A Midsummer Night’s Dream. She danced with Garden State Ballet, Mercury Ballet, and Rebecca Kelly Dance Company. In 1988, she moved to Nyack, where she has been acclaimed for her dance dramas. In 1994, Debra won the Lawrence Epstein Choreography Award. Freia M. Titland (SAG-AFTRA, AEA) is a Rockland County based actress, writer, director and arts educator. She has been an actress in many award winning films and television shows, performed off broadway, and has been seen on various digital platforms. She is head of the Associate Board of Directors for Origin Theatre Company and was awarded with the title of Top 40 Under 40 by The Irish Echo for her dedication to the arts in NYC. This past year she wrote, directed, produced and performed in an original film, Sunflower Fields, that is now winning awards in multiple international film festivals. With the help of fellow Rockland County professionals, Freia M. Titland founded a new indie film festival in New York, The Midnight Film Festival which kicked off this past January and was a huge success. Peter Furlan is a saxophonist, composer, arranger and educator whose striking originality is demonstrated on his Twinz Records release “ Peter Furlan - Spy Glass Hill”. In addition to leading The Peter Furlan Project, Peter Furlan Trio & Quintet, he co-leads 2 groups Mr. Gone & Le Jazz Electronique . He has performed and recorded with Dizzy Gillespie, Eddie Henderson, Thomas Chapin, Don Alias, Frank Foster, Cameron Brown, Steven Bernstein, Duane Eubanks, Richie Morales, Mahavishnu Project, The Temptations, 10,000 Maniacs, The Four Tops and many others. He is currently affiliated with a variety of educational programs in New York and New Jersey. He is the founder, artistic director and conductor of the Rockland Youth Jazz Ensemble (www.ryje.com) in Rockland, NY, and the vice-president of the Rockland County Jazz and Blues Society Peter has a new CD coming out in May called Peter Furlan Project - Between The Lines.” "Between The Lines” is a of collection original compositions inspired by works of modern fiction. Freia M. Titland (SAG-AFTRA, AEA) is a Rockland County based actress, writer, director and arts educator. She has been an actress in many award winning films and television shows, performed off broadway, and has been seen on various digital platforms. She is head of the associate board of directors for Origin Theatre company and was awarded with the title of Top 40 Under 40 by The Irish Echo for her dedication to the arts in NYC. This past year she wrote, directed, produced and performed in an original film, Sunflower Fields, that is now winning awards in multiple international film festivals. With the help of fellow Rockland County professionals, Freia M. Titland founded a new indie film festival in New York, The Midnight Film Festival which kicked off this past January and was a huge success. I'd like to nominate her for both Visual Artist and the Leadership award. Her business is incorporated in Rockland County and Freia implements the use of RCC students in her business and her programming as she is an adjunct professor of the performing arts at RCC. She has given back to her artistic community in Rockland by contributing to the local theatre community, collaborating with Rockland county artists in her work, and participating in events with the Arts Council of Rockland. Kristian Comer started off as an actress and was featured in tv shows and independent films. In 2016 she wrote her first short film that was based on events that happened in real life. She filmed it locally in Rockland NY and used a lot of home talent for actors and crew members. Her first film was finished in 2017 and was selected for viewing at the Woman’s Only Entertainment Film Festival, Popup Anthology, Chautauqua International Film Festival, The Brightside Tavern Short Fest, Movie4Movies, YoFi MicroFest February: Black History Month Showcase andThe NAACP of Spring Valley, and Suffern Free Library to name a few. Her film Riding with Sunshine was nominated for best original concept, best supporting actor (Raheem Wilson Morgan) by The Brightside Tavern, and Best Supporting Actress (Kristian) by Chautauqua International Film Festival. Eventually she was picked up by Amazon Prime in the US and UK. This year she is set to release Riding with Sunshine on dvd. She also has two other works(July 15th and The Test), one in post production (July 15th), and the other (The Test) released on amazon video on demand in the US, UK, Germany and Japan(next month) and on dvd/blu-ray this year. Kristian was educated at Rockland Community College (where she earned two Associates degrees) and Empire State College. Lisa Levart is an artist/photographer whose work focuses on contemporary women, drawing on ancient mythological tales to elevate their stories and life journeys. Her work is represented in the permanent collection of the 9/11 Memorial Museum in NYC and was a finalist in the international Julia Margret Cameron Awards for Women Photographers. 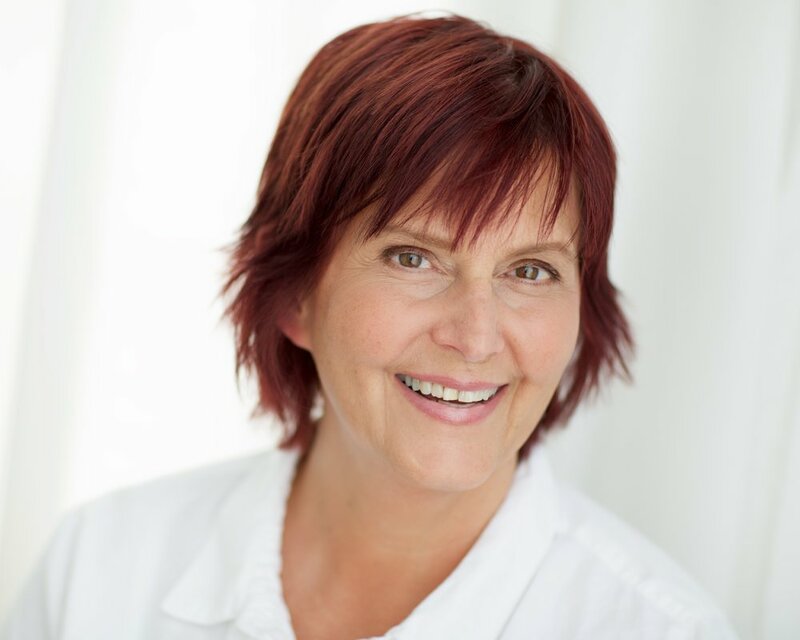 Her book “Goddess on Earth; Portraits of the Divine Feminine” won a Gold Nautilus Book Award and was named one of the 100 Best New Women’s Spirituality Books by the California Institute of Integral Studies. Lisa D’Amico is a Rockland County artist who excels in the use of color and texture. She explores the unlimited potentiality of chromatic and tonal scales, textural planes and volume within a two-dimensional framework. Viewing her dynamic and exuberant works of art is an exciting kinetic experience.As an experienced painter Lisa pursues color relationships with fervor. Her palette is innovative and complex. She mixes more than 25 different paints to create every color in her painting. These mixed media paintings cohabitate whether on canvas, wood or paper are in harmony, often superimposed upon the other, to create a reverie of unpredictable movement and texture. Lisa brings an extensive mastery of color theory, innate sense of rhythm, and compositional elements to each painting. Her art is visual poetry bursting forth with relentless energetic expression. Lisa has developed her own visual vocabulary and inimitable style. With the utmost proficiency, she invites us to view the world as a fluid and invigorating environment. Through her paintings we experience our universe with a new expansive and compelling perspective.